If you know me, you know I like challenge, and I like to do outrageous things that no one else does. 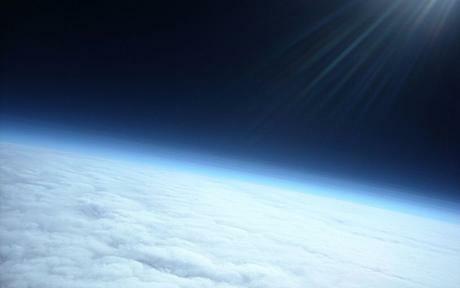 Sending a homemade space capsule to the edge of space fits the bill. A lot of people have done this and in fact it is considered a hobby. What I like is the design challenge and the feeling of accomplishment if it all goes down. Here are some design plans and a video from another space pioneer. Why? – Because I have never been to space and never will. But if I can send something to space, and bring it back, then I will have fulfilled a childhood dream of something of mine going to space. Can I join your efforts? – Yes. We are looking for talented men and women. We need ideas. If I join, can I wear a lycra jump suit for the launch. – Yes…absolutely. How much will this cost? – I figure I can get to space and back with a camera or two and a gps for less than $250. We already have funding. Could I include something of mine like toenail clippings, or hair, to say I have been to space? – Hmmmm…maybe, but the payload is limited to 4 pounds. I will have to see how the weight works out. Will there be an official patch and souvenirs? – Hmmm, no. What is the name of the project? – Classified. What is the name of the space agency? – TBA. I think you should send a pizza, a hot dog and a dozen eggs. Great project! Looking forward to seeing things develop! Just bought the GPS device off Amazon for $19.95 delivered. I was expecting to pay more. A 7 foot trial balloon is on the way for $13 off ebay. Chemical hand warmers are all the rage for space folks. Found the capsule in the garage. 2 inch thick foam cooler. I have begun to sequester my toenail clippings. I ordered the parachute $12, and solved the backup power issues with a few Duracell charger packs. The small balloon came today. When do you think the launch date may be? Not sure. I have to work out camera issues and then I would like a winter launch. A cold, clear morning with calm winds would be perfect and fairly predictable. Can I put you down as a mission specialist? Recovery? How come Mic gets to be the recovery specialist? I want to film the launch! I have no problem getting involved at the highest level of the recovery operation, as long as maybe we can get Phfrankie out there to supply the hot dogs.